A great choice for fans of the biggest rock act of the late '80s and early '90s. 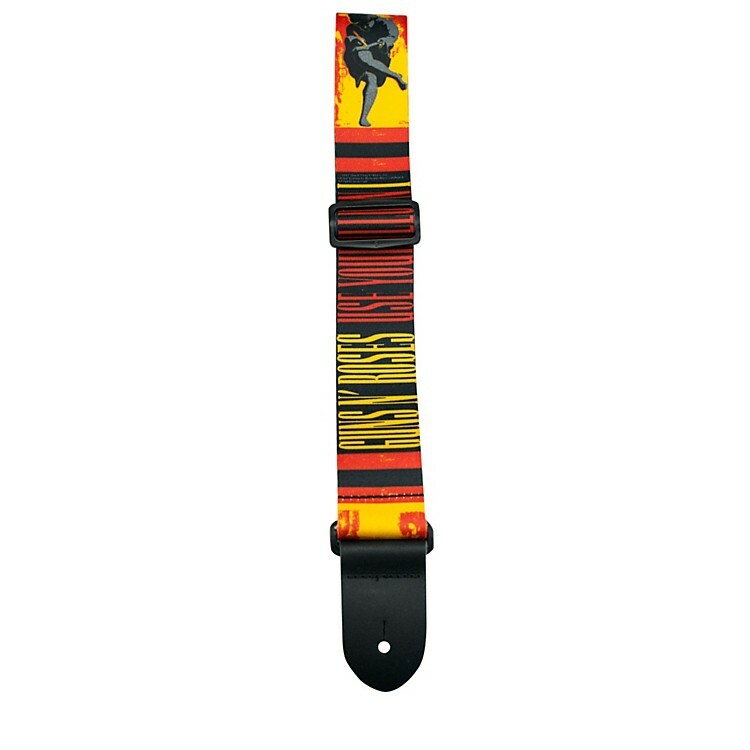 Featuring the artwork from the Use Your Illusion 1 album, this 2" polyester guitar strap is adjustable from 39" to 58" long, and has deluxe leather ends. Perri's Leathers' LTD knows that guitar straps are more than just fashion accessories. They know the essence of a great guitar strap, one that will connect you to the heart of your expression. Lou Perri, original owner, artist, musician and patriarch, Anthony Perri, innovator and son - together they put the soul into each guitar strap they create. Polyester strap that adjusts from 39" to 58"
A rocking guitar strap for lovers of G N' R. Order today.